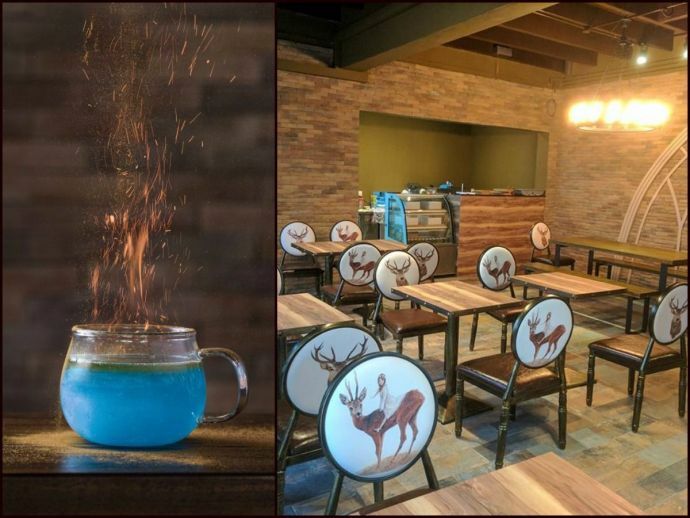 A Harry Potter-Themed Restaurant That Serves An Actual 'Goblet Of Fire'! The Singapore restaurant also has on its menu other Harry Potter-themed items like the Elixir of Life and Sleeping Draught. Potterheads can't have enough of Harry Potter-themed everything, and the latest addition to the Wizarding world is Platform 1094, a cafe in Singapore that is taking fandom to new levels. 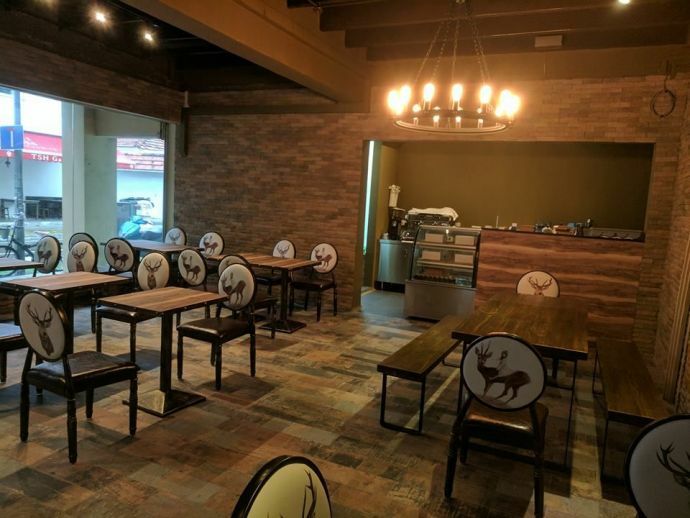 The restaurant, situated on 1094 Serangoon Road in Singapore, has on its menu items like the Sleeping Draught, the Elixir of Life, and even an actual, flaming Goblet of Fire! Just thinking about this Goblet of Fire I had twelve lightning scars ago at Platform 1094, the new wizardry-themed concept situated at 1094 Serangoon Road. To understand what's going on in this incendiary display, observe the shadows on the wall and the table space around the glass. Yeah, you can channel your inner Emma Watson and vent pent-up weekly frustration here with frenetic spell-casting hand movements. I can imagine Dumbledore pacing frantically around that cup, with names shooting out any time now! The restaurant also serves gourmet desserts painstakingly designed around the Harry Potter aesthetic. Don’t miss the desserts from Platform 1094 that are a plated affair and seem too beautiful to be eaten. The alcohol-infused Bloodberry is made up of two chocolate shells consisting of Hoegaarden Rosee mousse (with berry foam) and yoghurt parfait (with honey caviar) respectively, sitting on a bed of chocolate soil, macaron sticks and fruits. If you look closely, notice that the wand is made entirely out of chocolate! Haven't you always wanted to have a Chocolate Frog? Oh sweet Merlin! Transport me to Singapore already!